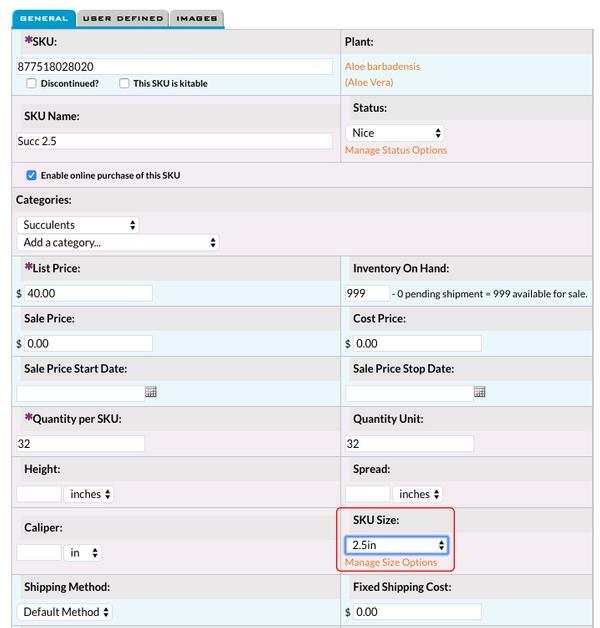 Select the proper SKU size from the drop down menus. 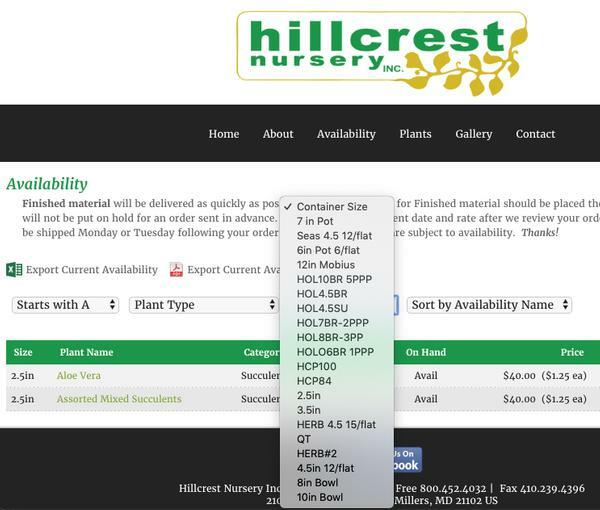 Once a Standard SKU size is selected, it can be used for searching and filtering on your website. Define the size products you sell one time and then assign them to the proper SKU (size of plant you're selling). 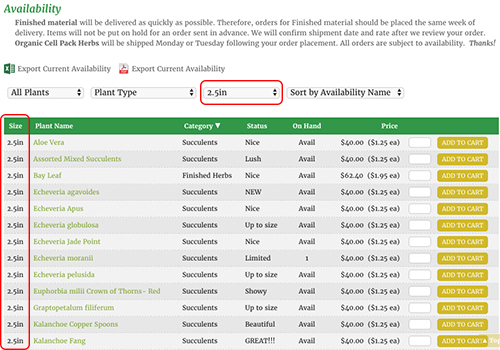 This allows your users to quickly find plants you offer in a specific size. Although a human reading all of the options understands the meaning, those variations make it impossible to sort and organize plant offerings programatically by size. 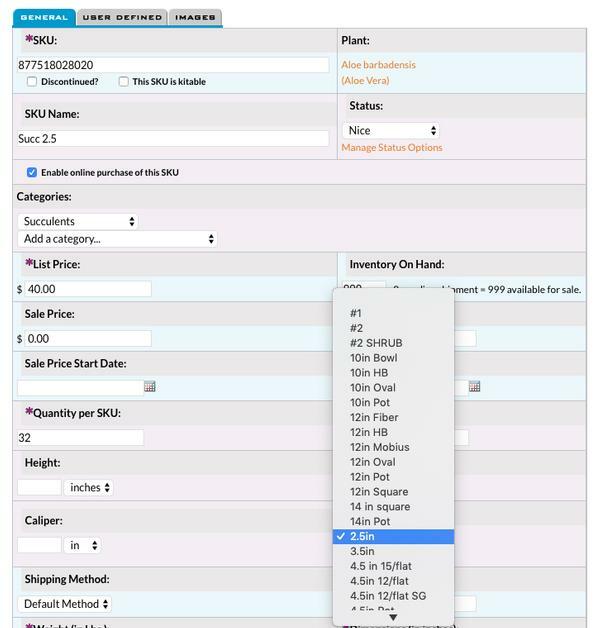 With the Standard SKU size editor, you define the size one time, like '2Gal', and then select it from a drop down list when selecting a size for any plant you sell. Then your customers can easily sort and find the size they need.